How do I use map layers while browsing my data? Learn how to select and use map layers in your Fulcrum app with the layer selector. 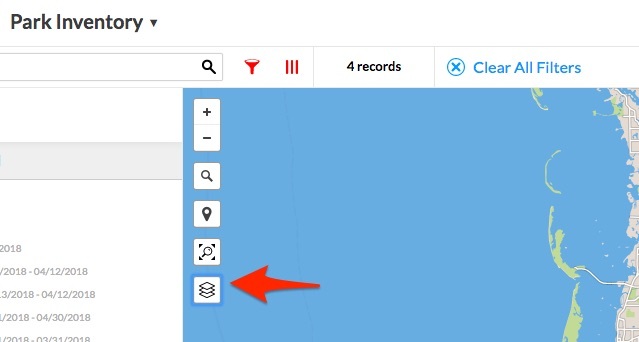 To use layers that you have added to your Fulcrum plan while browsing on the web, click on the layer selector icon in the upper-left portion of the map in the Fulcrum record editor. This is the last icon in the map options column and will allow you to view your data through map layers. Clicking on the basemap/layer selector will reveal a popup that will allow you to select the basemap and the custom layers you wish to use. Along the top of the popup are the included basemap options. You can also select the 'no basemap' option if you do not wish to view any of the included basemaps. 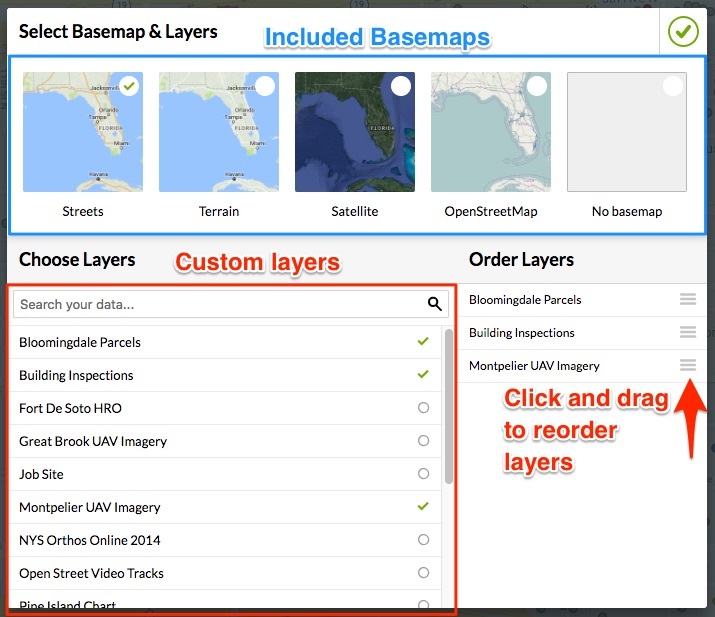 Below the basemap options is where you can manage your custom layers. On the left side is where you can enable or disable the custom layer by clicking the circle or check mark. On the right side is where you can change the ordering of the layers by clicking and dragging on the layer. The layers higher up the list will be displayed above the layers below the list. The basemaps are always at the lowest level.